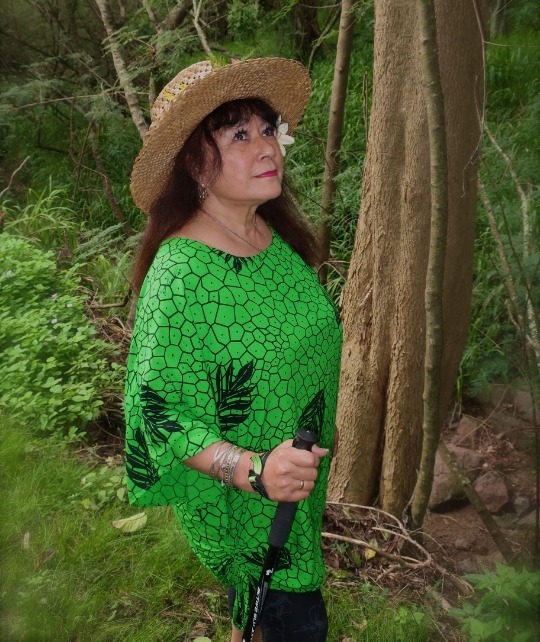 Lauwa‘e Cazimero has been dealing with feelings of loss, guilt, and regret ever since the death of her husband, Hawaii entertainer Roland Cazimero. 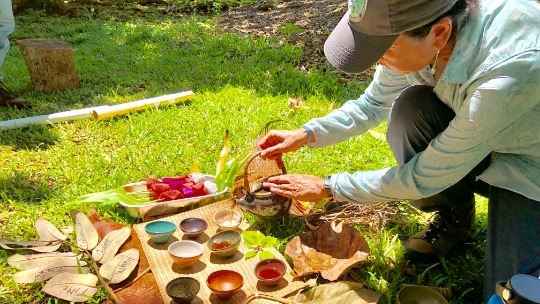 Cazimero and about a dozen other participants went on the three-hour guided walk one Saturday morning at Lyon Arboretum in Manoa among lush green trees and chirping birds. They participated in several exercises, called “invitations,” that included closing their eyes and using their sense of hearing, smell, and touch to connect with their surroundings. Participants discussed their experience and ended the walk with a tea ceremony. Scientific evidence shows that forest bathing can be a pathway to better health and well-being. 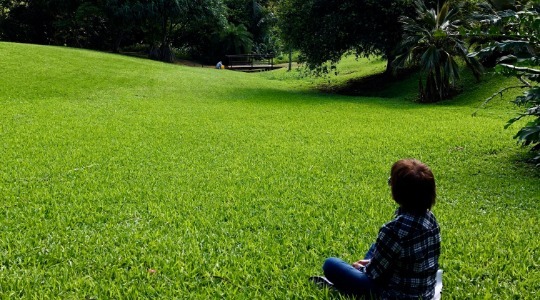 There are many reasons why people take part in forest bathing, says Phyllis Look, owner of Forest Bathing Hawaii. 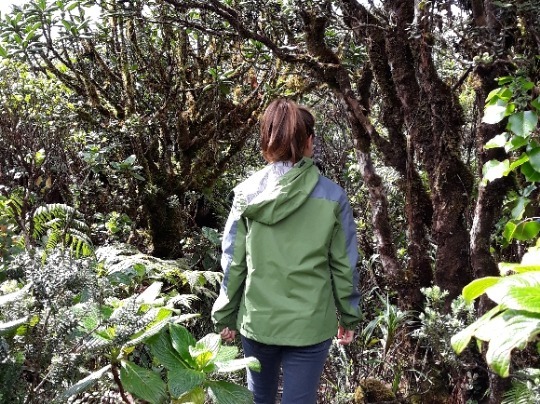 Whether it’s to get over the loss of a loved one, increase mindfulness, be more in tune with nature, or simply take a break from a fast-paced world, she says forest bathing can benefit the body and mind. Forest bathing guide Phyllis Look conducts a tea ceremony at the end of the walk. Forest bathing, or shinrin-yoku, is the Japanese practice of “bathing” or immersing yourself in nature. It’s supported by scientific studies that show how nature can help boost immunity, reduce blood pressure and stress, improve mood and sleep, clear the mind, and improve one’s focus. “It’s going back to the three Rs—rest, recuperation, and reflection,” says Look. 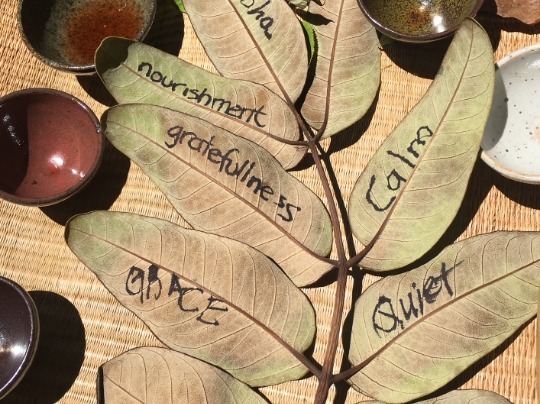 Forest bathing enabled Molly Mamaril to practice better mindfulness. Learn more about forest bathing in Hawaii at forestbathinghi.com. Photos courtesy of Phyllis Look.